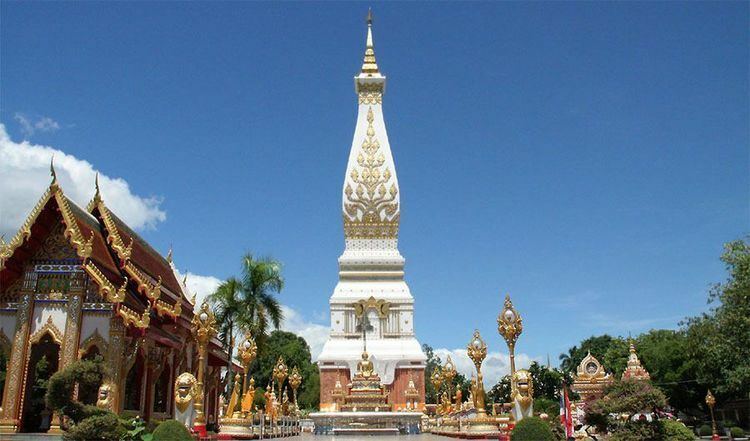 Nakhon Phanom (Thai: นครพนม) is one of the northeastern provinces (changwat) of Thailand. Neighbouring provinces are (from south clockwise) Mukdahan, Sakon Nakhon, and Bueng Kan. To the northeast it borders Khammouan of Laos. The province, in the Mekong River valley, is mostly plains. The northern part of the province has a more upland, forest-covered character. The main river in the northern part is the Songkhram River with the smaller Oun River. The southern part is flatter with the Kum River as its only notable watercourse. 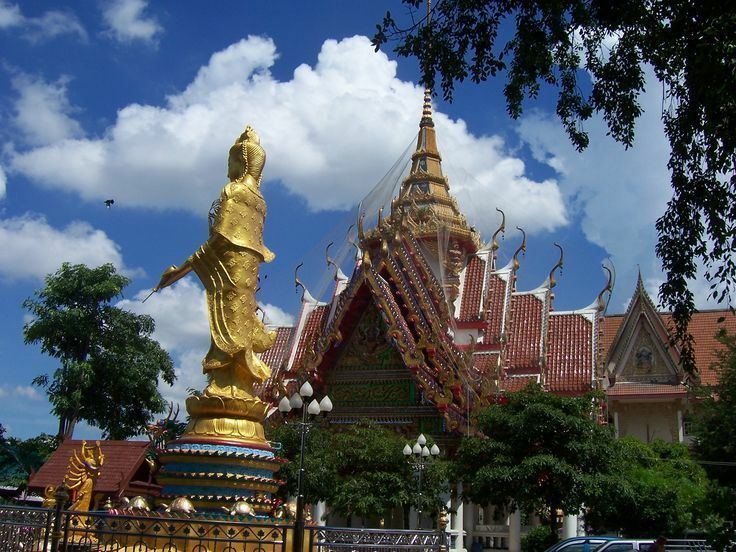 The provincial capital, the city of Nakhon Phanom, is on the banks of the Mekong. Phu Lang Ka National Park covers 50 km² of forests and hills, and includes the Tat Kham and Tat Pho waterfalls as its most popular attractions. Flowers such as the Lady Slipper Orchid and diverse wildlife are found in the park. 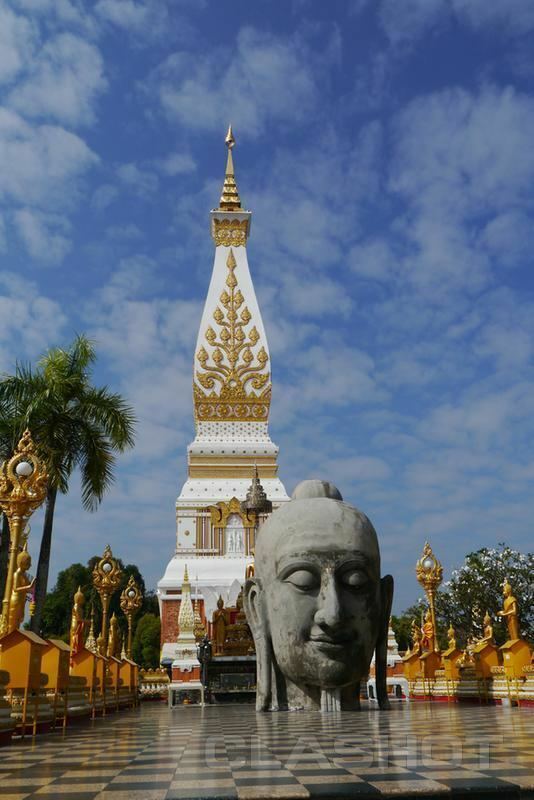 The name Nakhon Phanom, meaning "city of mountains", was given to the city by King Rama I. There are no mountains within Nakhon Phanom itself, the limestone mountains being concentrated in the city of Thakhek in Laos on the other side of the Mekong River. Nakhon Phanom is more accurately described as a city where the mountains can be seen. The area had been long settled by Lao people and belonged to the Lan Xang kingdom. After it came under the control of the Kingdom of Ayutthaya, the population remained predominantly Lao speaking. At first it was known as Si Khottrabun, and during the reign of King Rama I was called Marukkhanakhon. During the Vietnam War (or American War as the North Vietnamese called it) Nakhon Phanom saw some of the most serious fighting between North Vietnamese insurgents and the US forces. During the 1960s, 73 of the 131 subdistrict (tambon) were allegedly infiltrated by the Vietnamese and Lao communists, and the province was known as the "heartland of insurgency". US and Thai forces established a base at Nakhon Phanom, where the Thai military hosted the 56th Air Commando Wing, which conducted special operations against both the Ho Chi Minh Trail in Laos and carried out counter-insurgency operations against Thai communist forces while conducting search and rescue operations primarily inside Laos and North Vietnam. On 7 August 1965, an ethnic Phu Thai village in the province, made headlines when Thailand's first-ever physical confrontation between communist fighters and Thai security forces occurred. Eight communist villagers were involved, one of whom was shot dead during the incident after the town was surrounded by state forces. Between 1967 and 1971, most of the communist insurgents were defeated. Towards the end of the Vietnam War, US forces moved their Indochinese military operations to Nakhon Phanom. Vietnamese communist leader Ho Chi Minh had resided from 1928 and 1931 in Ban Nachok, a small village on the road between the airbase and Nakhon Phanom. His former home and a new museum are now open to the public. The provincial seal shows the highly revered pagoda of Phra That Phanom in That Phanom district. Originally constructed around 535 BC in Khmer style, it collapsed in 1675 and was rebuilt in Lao style. The provincial tree, as well as flower, is Fagraea fragrans. 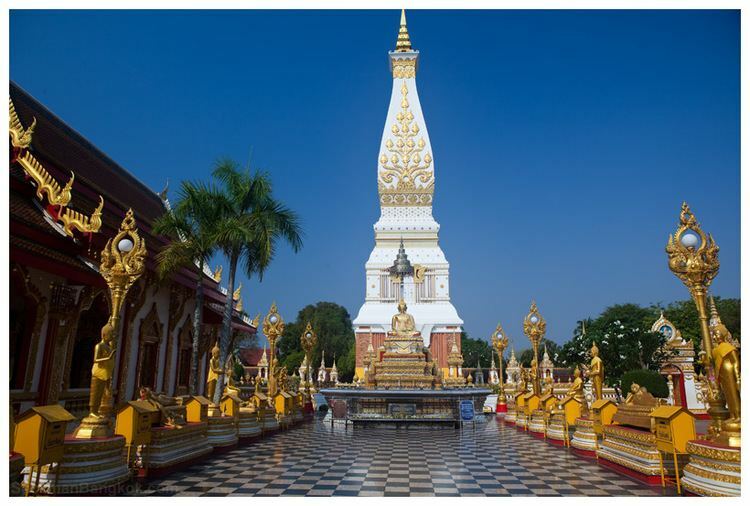 The provincial slogan is The city of the revered Phrathat Phanom, cultural diversity, beautiful Phu Thai ladies, brilliant illuminated boat procession and picturesque Mekong River. Important festivals in the province include the traditional dances of the Phu Thai ethnic group held during May and June every year. The Phra That Phanom temple fair is held every February, when many locals pilgrim to the temple to pay homage. At the end of the Buddhist Lent in November, an illuminated boat procession takes place. The cuisine is similar to that of Isan. Pla ra, fermented, preserved fish, originally comes from the Si Songkhram area is now popular throughout Thailand. Traditional products in the province include hand-woven fabric, made from silk or cotton. Renu Nakhon, That Phanom and Si Songkhram districts are the centers of this industry. Also hand-made Kaen instruments can be found in the province. The province is subdivided into 12 districts (amphoe). The districts are further subdivided into 97 subdistricts (tambon) and 1,040 villages (muban).